Asia Cyber Diplomacy Workshop "Diplomacy: Between Tradition and Innovation"
On 28 and 29 August, 30 diplomats gathered in Bangkok to learn about and discuss cyber diplomacy, a practice that is vital to avoid conflict and miscommunication in global Internet policy-making. 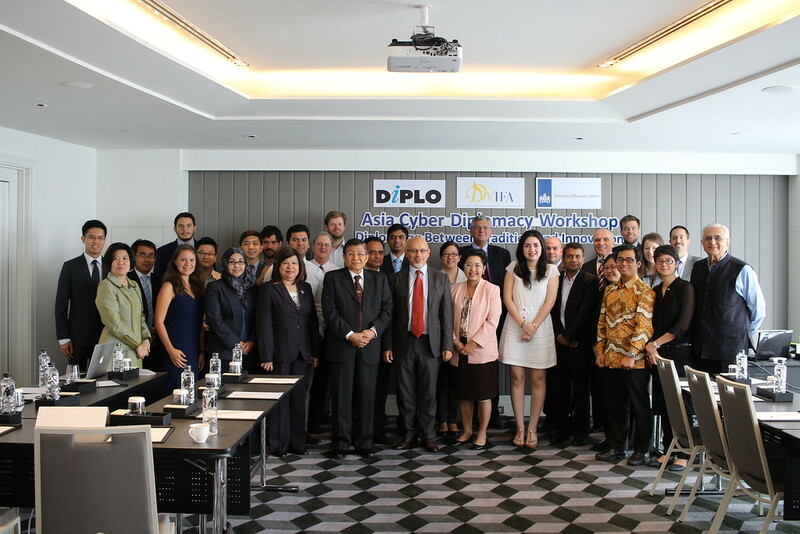 The workshop, organised by Diplo with support from the Ministry of Foreign Affairs of the Netherlands and in cooperation with the Devawongse Varopakarn Institute of Foreign Affairs in Thailand, brought together a diverse set of participants: from newcomers to the subject to experienced actors in the field, from well-seasoned diplomats to young professionals, and from Asians to Europeans and South Americans. Participants from the diplomatic community were also given the opportunity to interact with civil society, academia, and business sector members. The diversity among the participants gave rise to an environment in which the participants not only learned from their trainers, but also from each other. 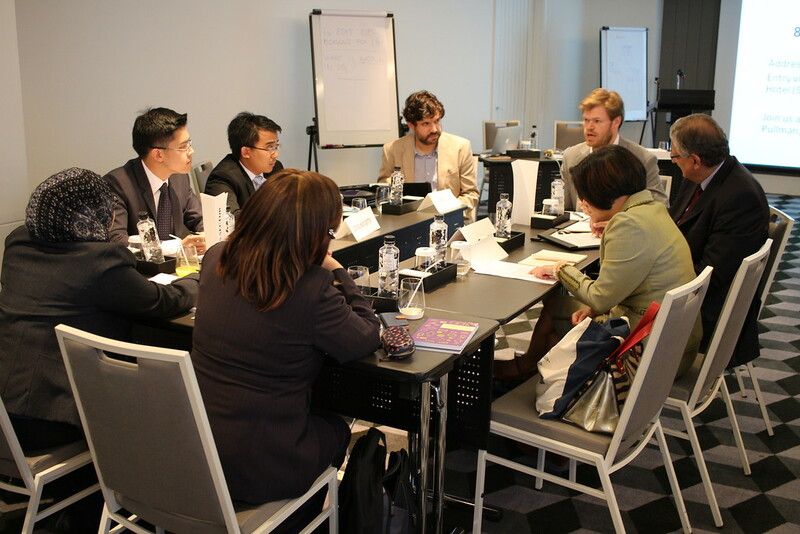 The knowledge exchange was facilitated thanks to the interactive nature of the workshop’s educational elements, which included showcases of the Internet's present and future, presentations and engaging discussions by global and regional experts, and a negotiation simulation exercise facilitated by senior diplomats. Speakers and participants highlighted several recurring elements as the main problems that are currently obstructing Asian cyber diplomacy from becoming an effective tool in cyber policy-making. The main focus of ASEAN countries in the area of cyber diplomacy is on the digital economy, with legal, cultural, security, and human rights issues lacking coverage. At a national level, the coordination of the diverse areas related to cyber diplomacy is insufficient. Public sector officials are often unaware of their colleagues’ roles and responsibilities in cyber issues, while communication between different governmental departments dealing with cyber issues is limited. At the Asia-Pacific regional level, the degree of knowledge sharing and coordination is still underdeveloped. Underpinning all of these obstacles is a general insufficient level of training and capacity building on cyber diplomacy and Internet governance among the diplomatic community and public sector officials. In response to these challenges, several possible tracks of actions were identified in order for Asian cyber diplomacy to reach its full potential. Promoting a whole-of-country approach to digital policy should involve communication and coordination among economic, technical, legal, and security sectors. The support to national Internet Governance Forums (IGFs) was suggested as a particular opportunity for bringing different policy communities together. To overcome different terminology and the interchangeable use of terms that create policy confusion, a comparative dictionary of cyber diplomacy and policy was suggested with translations and semantic coverage of the main concepts in different languages (e.g. the meaning of Internet governance in English, French, Thai, and Chinese). This should be accompanied by translating cyber policy, Internet governance, and diplomacy publications to the main languages of the region. Regional best practices with digital policy development should be better shared, while international discussion on cyber diplomacy should be promoted. Additionally, the quantity and quality of training to the diplomatic community should be increased, and extended through an interactive online learning and community facilitation platform for ASEAN countries. For more information about the workshop, the full list of issues and actions, and photos please visit here.